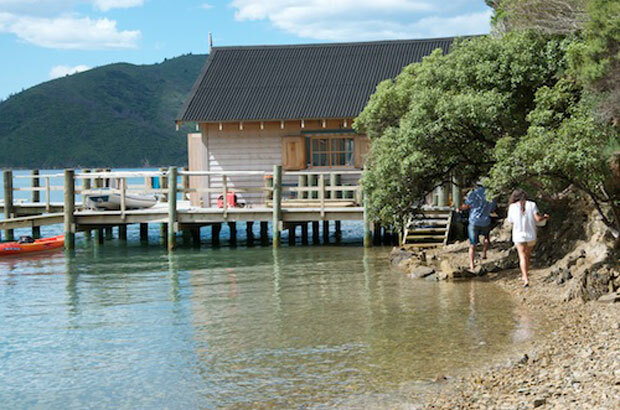 This summer will be our 26th in the Marlborough Sounds. We started off on the water, cruising the Sounds on our much loved (and now slightly battered) wooden launch but for the last few years we’ve been land-based having cleared a campsite and built a boatshed in Tory Channel. There are days when it rains and blows and we dream of having a building on the site but mostly we like roughing it. We especially like cooking outdoors over charcoal or on a cast-iron gas ring, and we get very smug and self-congratulatory when we cook what we’ve caught. Catch restrictions make blue cod an occasional treat and scallops are off the menu entirely this summer but there are still plenty of cockles in the bay and our sons, who like to spearfish, keep us in butterfish and paua. 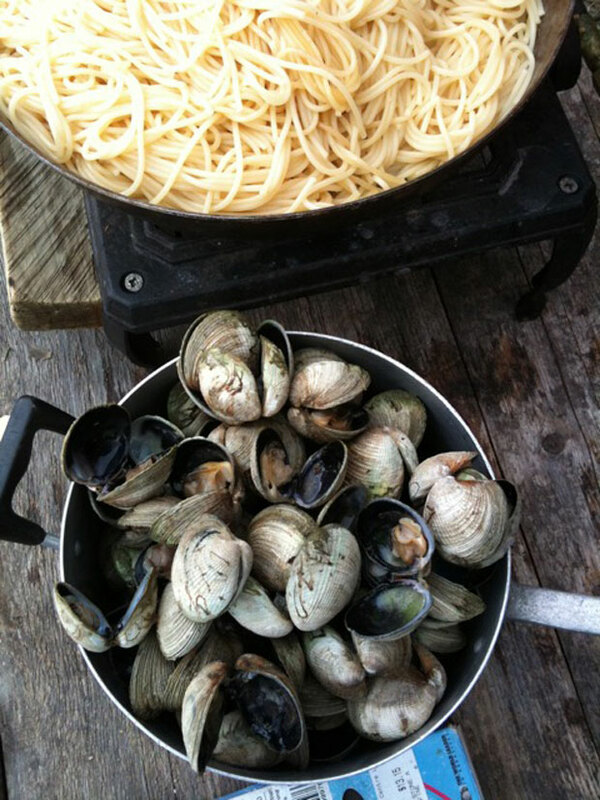 Here’s how we cook the shellfish. Simple but good and always the same. The best way to tenderise paua is the subject of endless conversations amongst the holiday community in the Sounds. We’ve found the best way is to let them rest upside down on the bench for a few minutes until the muscles relax (they soften to the touch) and then drop them in to boiling water for a minute or two to blanch. Pull them out and when cool enough to handle, slip them out of their shells, pull off the gut and remove the sharp tooth. Easy – and not nearly as messy as bashing them with a bottle. We save the guts for burley. 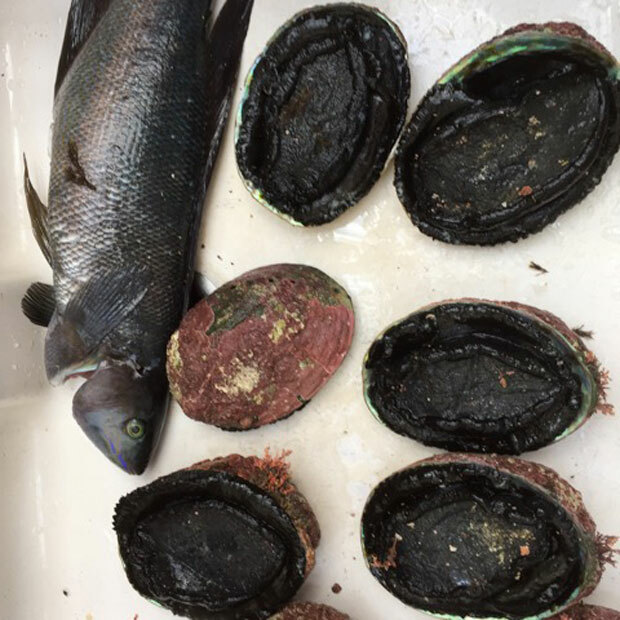 Slice the paua thinly and dredge in seasoned flour. Shake off excess and fry in olive oil over high heat until they start go brown. Splash with lemon juice and served with chopped coriander and extra salt. Match with a glass of sauvignon blanc or a hoppy IPA. Paua butties are good too. Same method as above, but without the seasoned flour. Use sliced white bread and a good mayonnaise. NZ cockles are actually clams. It was Captain Cook who called them cockles and as he undoubtedly ate many of them while resting up in the Sounds, that’s what I’m calling them. Cockles need to be left in a bucket of seawater for 24 hours to allow them to spit out the sand. Place them in a shady spot and change the water once or twice. When ready to cook they need to be scrubbed well in cold fresh water to clean the sand and grit from the outside of the shell. Cook spaghetti in a large pot of well salted water until al dente. Strain into a serving bowl with a little of the olive oil to stop spaghetti sticking. Keep warm. Meanwhile, steam cockles in a large covered pot with white wine over high heat. Shake pot every now and again and continue cooking until cockles are just opened. Remove cockles and keep warm. Reserve about 4 tablespoons of clean juice (ie, no grit) from the pot. *as a general rule, the best rosés to serve with food are paler in colour and have less up-front fruit. The French say rosé should be the colour of onion skin. When making style predictions, my track record is blemished. I am the woman who once predicted “Geranium will be the new lavender.” Fifteen years on and I’m still waiting for that to happen. Thankfully, as geranium smells pretty pooky. I am the woman who predicted salmon skin would be the new crocodile skin. What was I thinking? Wouldn’t it smell? Those utterances were made when I edited a magazine which was supposed to be in the know about such things. It’s a wonder I wasn’t fired. Despite these foolish blunders I’m up for another one, if you’re interested? The silk headscarf is coming in from its banishment to the prim and proper corner where it’s languished for years. 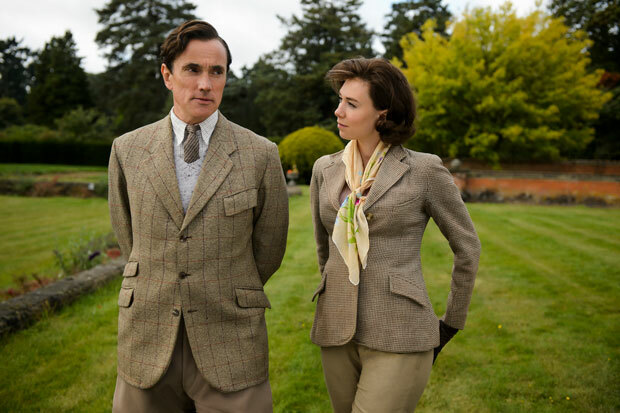 Witty ways with a vintage square silk scarf will denote someone speaking the secret language of fashionability. Why? Ahh, my reliable source is the blockbuster series The Crown (Netflix). Princess Margaret rocked the cashmere jumper-designer silk scarf combo like no other before or since. And I don’t mean the prissy head-covering, chin-knotting method beloved by her sister Lillibet, the queen. Princess Margaret’s scarves were tucked in luxe layers around her neck and poked up cheekily at the back. All very fabric and all very fabulous. I’m excited to have found a supply of vintage designer scarves (thanks Insider’s Guide) in Wellington at Soup. Fashion Recovery in Holland St. This is what my daughter is getting for her Christmas present. 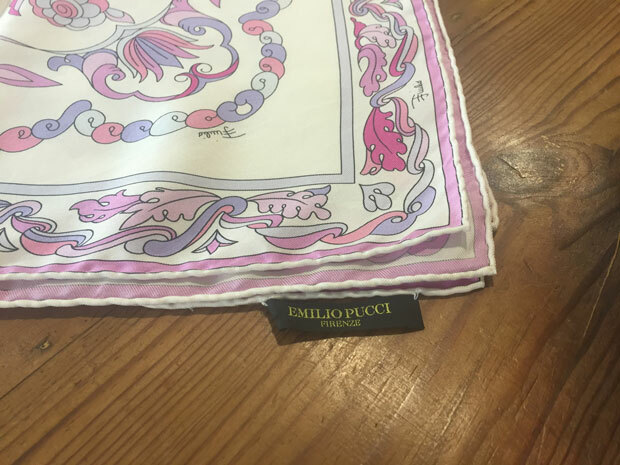 It’s vintage Emilio Pucci. I love the Pucci history of mad patterns, gorgeous colours and glorious silks. Spoiler alert: Kate’s daughter is receiving this lovely scarf for Christmas. There are dozens of online videos showing 1000 ways to tie a silk scarf. So I’m not a trend predictor am I. Just one of many noting the return of the cool silk scarf. 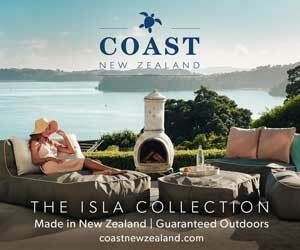 PS Our Special Collector’s edition NZ LIFE & Leisure – Insider’s Guide, covering six regions of NZ, has independently researched recommendations on activities and outings, places to visit, where to stay, food to eat and where to shop. This unique travel guide is a great Christmas gift. $19.90 delivered and we can send a card for you. 0800 695 433. But be quick or we can’t guarantee arrival before Christmas. 1) For every pair of sunglasses sold, DIFF donates a pair of reading glasses to someone in need. Recent estimates show “in Sub-Saharan Africa, the ratio of optometrists to people is approximately 1:8,000,000”. DIFF’s partnership with charity organisation Eyes on Africa has helped deliver reading glasses to African communities with limited access to eye care. 3) The glasses are bright and shiny and I am a magpie. Perhaps by wearing them, I too will be transformed into one of the glamorous beings in their numerous Instagram ads. Also, the New Zealand sun. Enough said. 4) See point 1 and 2. With their neon lenses, they aren’t the most subtle of shades but as I wear a lot of black, I also love a splash of colour. Looking for something a little less bright? There are more muted options. 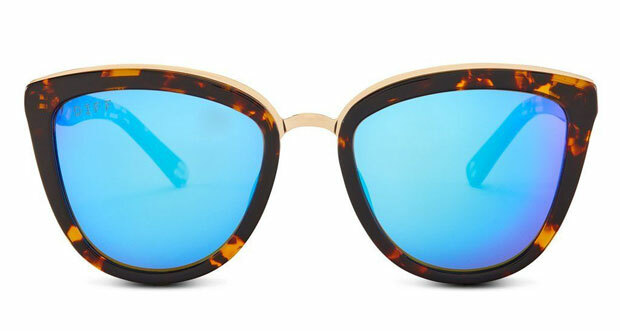 Priced from $50 – $85USD (I went with the polarized option for an extra $10USD) and shipping is reasonable – and quick! The office coffee machine, ‘Big Red’ gets a good work out each day thanks to my long black addiction. I drink coffee for the taste but during the summer when I’m not sipping away in my desk I often get withdrawal symptoms. Summer season solution: affogato. The combination of espresso poured over ice cream is pure joy for a caffeine addict. 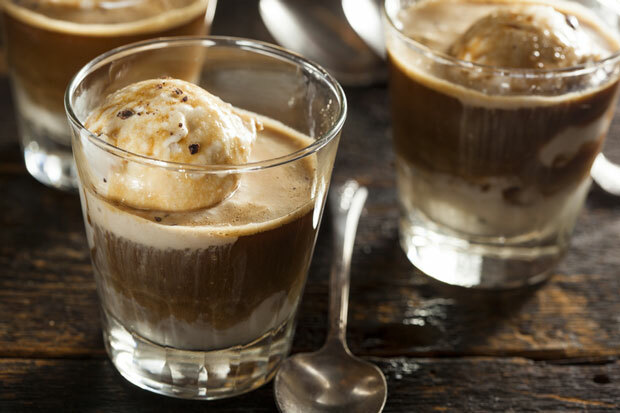 Affogato simply means ‘drowned’ in Italian – but the key is to keep the coffee-to-ice cream ratio as 1 shot of espresso to 1 scoop of ice cream. Chill the glass first to prevent the ice cream from melting too quickly, and make sure the espresso is very fresh. Feeling adventurous? Add a shot of liqueur (frangelico or amaretto are ideal), or fancy-up ice cream with a shard of brittle (with coffee beans instead of peanuts). Jamie Oliver even has an affogato option using leftover christmas pudding. No ice cream in the house? 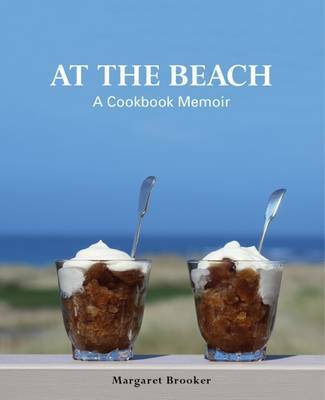 Wellington food blogger Margaret Brooker has an option for a whipped cream Coffee Granita in her book At The Beach. If visiting the Coromandel this summer, swing by the Waihi Beach Hotel for the Macadamia liqueur, homemade gelato, espresso & salted caramel. It’s amazing. The American election, Brexit … a lot of events in 2016 have people worried about the future. Dr Angus Hervey wants to do something about that. The science communicator, political economist and founder of science and technology website, Future Crunch is visiting to New Zealand next year for the Womad festival. Angus will be speaking with cancer researcher Tané Hunter as part of a new programme for 2017 – ‘World on Words’ which explores optimism and the future. 10 reasons why 2016 was a good year. 1. 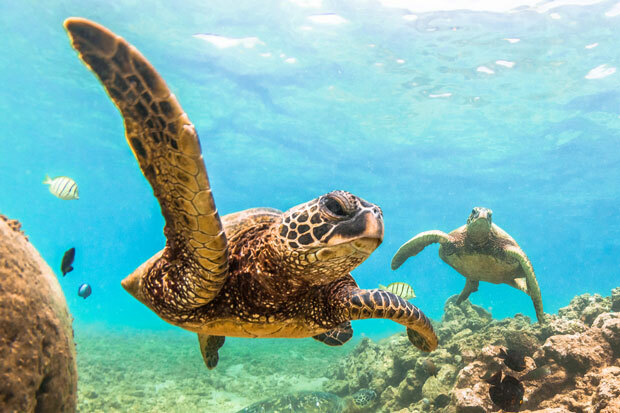 After nearly 13 years of difficult negotiations, Malaysia established a 1 million hectare marine park that pioneers a mixed-use approach to marine conservation. 3. New research showed that acid pollution in the atmosphere is now almost back to the level that it was before it started with industrialisation in the 1930s. 5. The World Health Organisation released a report showing that, since the year 2000, global malaria deaths have declined by 60%. 6. Fresh evidence showed that public smoking bans have improved health in 21 nations. 7. Liberia was officially cleared of Ebola, meaning there are now no known cases of the deadly tropical virus left in West Africa. 8. The proportion of older US adults with dementia, including Alzheimer’s declined from 11.6% in 2000 to 8.8% in 2012, a decrease of about a million people. 9. In 2016, for the first time ever, the amount of money it would take to end poverty dropped below the amount of money spent on foreign aid. 10. World hunger reached its lowest point in 25 years. The tricks behind the magic of film and TV production have always been a closely-guarded industry secret. 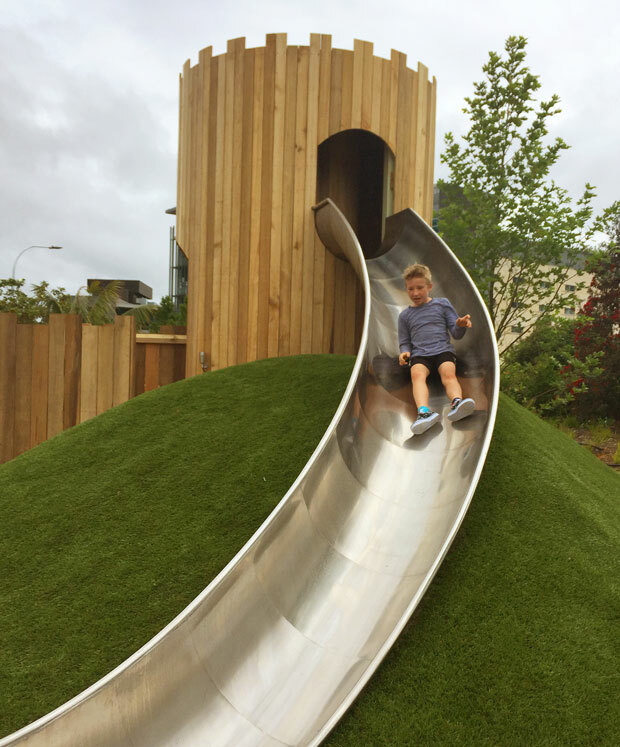 Henderson’s newest family destination Whoa! Studios allows kids and adults to check-out behind the scenes of a real studio and discover the secrets used to create on-screen wizardry. 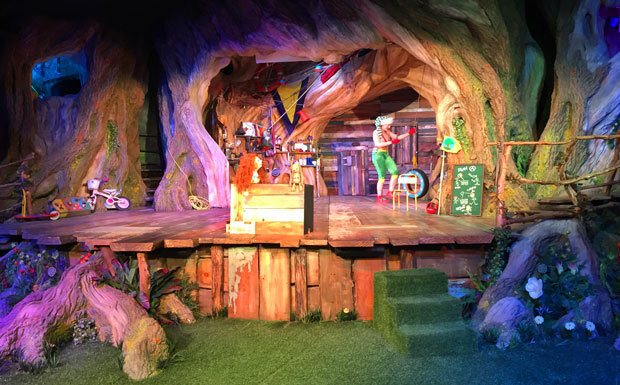 My eight-year-old son, Floyd, and his friend were initially quite sceptical about visiting Woah!, “What do you mean we are actually going to a studio? Why can’t we just watch it on You Tube?” Despite their initial confusion (and a lack of roller-coasters) the boys had a fantastic day. We arrived at 10am and I prised them away at 3pm. And by that, I mean dragged them away. Outside the studios the boys had a ball on the psychedelic, crochet-web climbing gym and other play structures including a fort, a ship and a rocket.